We spoke about it in our 2016 retrospective podcast, but 2016 was a year with so many amazing indie games that it was almost impossible to play them all. I found myself finally downloading “Inside” around the holiday season, though it was released back in the summer. Similar to the totally desaturated universe of “Limbo”, “Inside” sees a similar black and white motif, albeit with splashes of color. 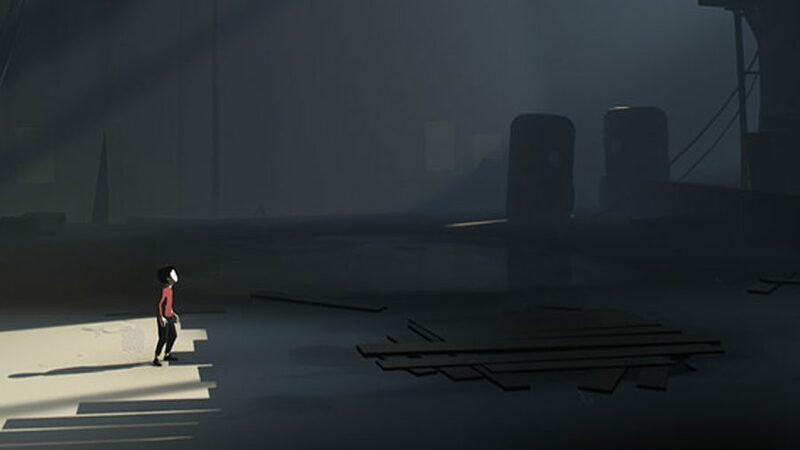 Though most of the game is monochromatically cast, sparse color allows for developer Playdead to bring attention to the player character as well as objects that can be manipulated in the environment. “Inside” and “Limbo” both feel like spiritual successors to Oddworld. Escape from a bleak and controlled future with evil industry are themes explored in both games. One of the creepier moments of “Inside.” How will you survive? I enjoyed the dark tones and storylines depicted in “Inside,” all told through action instead of dialogue. 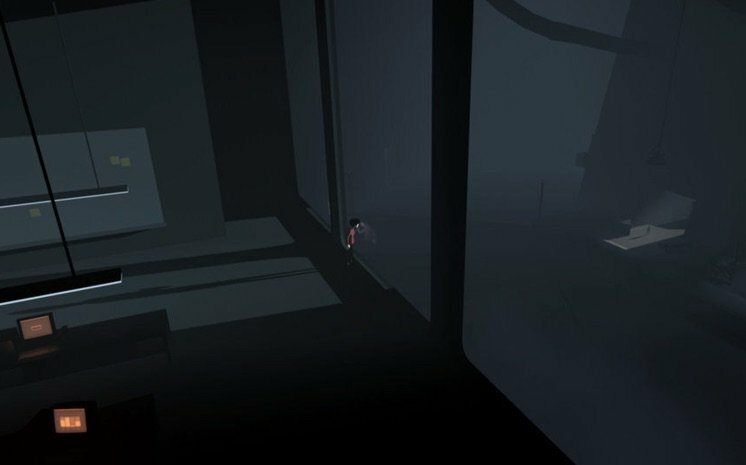 You can definitely tell that “Inside” was made on a similar engine to “Limbo.” Controls can feel very lofty, with physics carrying the player character in strange directions and being used in puzzle scenarios. Never did I find puzzles difficult to get, but often was I impressed by the way that physics were used in solving the puzzles. Similar to “Limbo” is the one-hit kill gameplay. This results in many situations which are dictated by trial and error. You will not know how to beat a situation until you try stuff. And die. A lot. If you liked this brand of masochism in “Limbo” you will like it here. If you didn’t, “Inside” won’t convert you. Trophies are disseminated to those who perfect runs without deaths. Unfortunately, “Inside” is over before it starts. Normally, game-length is relative to the experience said game provides. “Inside” felt like it was just catching stride, and then it was over. “Inside” uses size and lack of color to create a feeling of hopelessness and oppression. I don’t want to discount the moments and the fact the game is chiefly made up of moments, I just wanted another hour. But this is a game that is made by its ending and secret ending in my opinion. 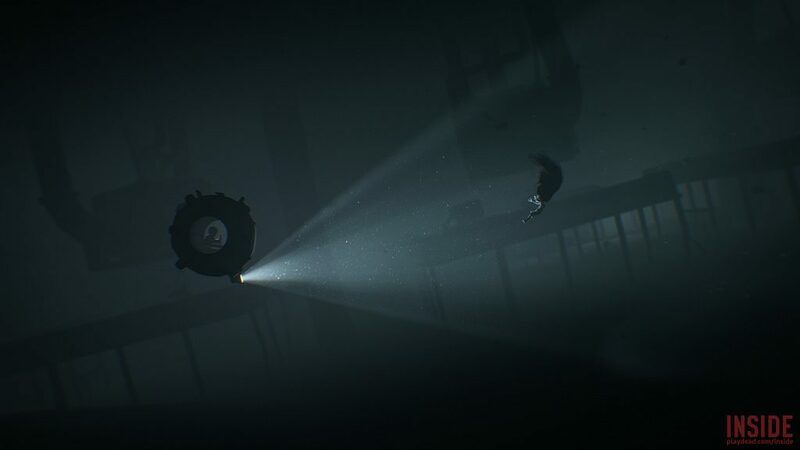 In fact, the ending moments of “Inside” are so strong that, without spoiling anything here, the game is better for it and commands a higher review score. If you have not played “Inside”, I recommend reading no further and playing the game through to completion. Following this are Spoilers for the ending and secret ending of the “Inside” game. After dealing with dogs that can outrun you and kill you instantly, getting absolutely splattered by the shockwaves from a pulsing thumper, and being shot by ruthless agents, Inside puts you at the top of the food chain in one of the most bizarre events in gaming history. You find yourself stuck in a tank, assisting a giant, fleshy blob that is held down by metal beams. Once you free the fleshy blob from its prison, you are absorbed into the blob and gain control of the unstoppable mass. The rest of the game sees the character navigating new puzzles, impervious to all previously deadly assaults. As the game ends and you finally make your escape onto a sunny beach-scape, the true result of your actions is revealed. You have become one with the blob and cannot escape. Though you have escaped, you are not free and are one of a hive mind. It is a really cool metaphor for the reality of the world today. The illusion of freedom in rebellion from a greater power. The above conclusion is bolstered by the game’s super secret ending. If you make it through the game and pull all of the secret plugs, you are given a code that can be used very early on a second play-through to unlock a secret door and uncover the secret ending. In this ending, the player unplugs a giant plug from the wall and falls dead on the floor, similar to what happens to the husks of other people in the keys to solving the game’s puzzles. This suggests that the player was being controlled by something else the whole time. The illusion of freedom is such a cool metaphor, and it is handled so well by the folks at Playdead. What did you think of the ending and secret ending? Let your opinion be known in the comments below.